You may glow during your pregnancy, or you may feel horrendous throughout, or you may be a combination of the two. Being pregnant is not easy, there’s nausea, tiredness, weight gain, going off your food, and possible headaches. But ladies if you’ve only just found out you’re pregnant or if you’re in the 1st trimester nothing can quite prepare you for being pregnant and having a toddler to look after. I battled through it and safe to say I am now out the other side and into the 2nd trimester. 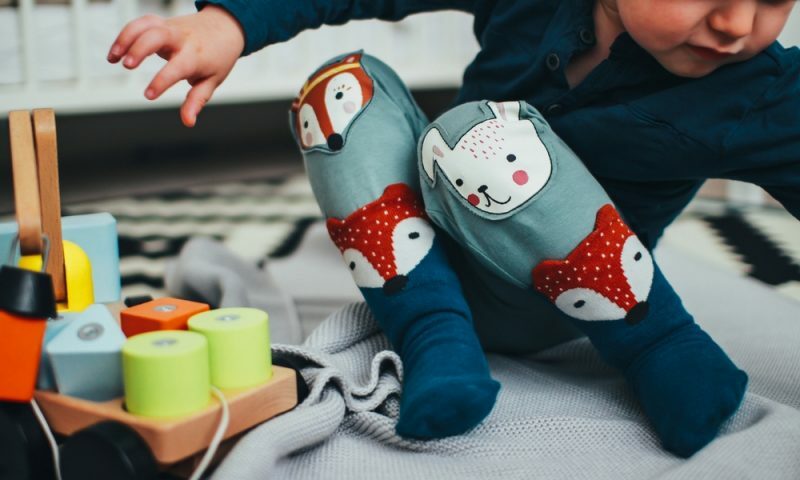 So if you’re going through it here are my 10 tips on how to survive the 1st trimester of pregnancy if you’ve got a toddler to look after as well. Now is not the time to be worried about how much TV your child is watching. If you’re feeling awful and simply cannot face the thought of another playgroup today then stick the TV on for a couple of hours and let them watch Mr Tumble or CBeebies. It will really do them no harm at all, plus if they are like my daughter they will carry on playing whilst Peppa Pig plays in the background. That’s for both you, not just your toddler. But seriously there is nothing worse than having a toddler who keeps demanding food when you can’t handle the thought of it. Make sure you have easy to reach snacks to hand such as crackers, fruit and cheese. The same goes for you. If all you can stomach is Pickled Onion Monster Munch then make sure you have plenty of those. Fingers crossed you have a toddler who still has a daytime nap. If you do make then most of this, and nap whilst they nap. This stage of pregnancy is exhausting so make sure that you getting as much sleep during the day as you can. Any household chores can wait until your toddler is up and about, and you are feeling rested. So don’t worry about the dirty dishes in the sink. If you’re spending all day during week with your toddler whilst your pregnant I salute you. But if you’re finding it really tough, and if you can try and arrange some childcare so that you can have a break and a rest. This could be half a day a week at nursery, or a couple of hours with a family member. Remember that you need to rest as well, you are growing a baby after all, so don’t feel guilty about doing this. This is absolutely fine to do, although be prepared for a trashed living room afterwards. If you need 15 minutes break to rest your eyes, this is fine. Just make sure your toddler can’t escape the room and that there is nothing breakable or dangerous they can access. They will most likely wake you up by shouting ‘Mummy Wake Up!’ but you will feel so much better for having 10 minutes of shut eye. If you can’t do the 15 minutes of shut eye on the sofa then find some activities to do together that mean you can lie down. This could be snuggling together reading a book, doing colouring, or a sticker book. Basically anything that doesn’t involve you moving around, building Duplo sets or dancing around the living room together. Once you’re feeling up for it, it is best to get out and about, it’s good for you and your toddler, but don’t feel bad if you can’t. Try to go to playgroups or to a park where they can safely run around and play, whilst you can take a rest. Hopefully by doing this, they’ll also have a long nap, so you can have a long nap too! Really don’t worry about this, as they won’t remember it. They might be concerned, but just explain that Mummy isn’t feeling well. Try to control the nausea by eating and nibbling as much as you can. I found ginger biscuits to be a life saver along with toast after toast after toast. There really is nothing worse than cooking and preparing food when you can’t bare the sight of it. So to avoid the extensive food preparation make as many meals as possible in advance or when you’re feeling up for it, so all you need to do is microwave it. Or ask your partner to help out. You really don’t want the smell of your toddlers food making you throw up. Lastly be kind to yourself. You are growing a human after all, and that is nothing to be sniffed at, and don’t worry if you can’t feel like Supermum all the time. The 1st trimester is known to be the hardest, not only on your body but also emotionally too. So if you need to take time out, don’t be afraid to ask for it. If you want to go to bed early or having a hot bath once your toddler is in bed, then do it. Looking after yourself is the number one priority. 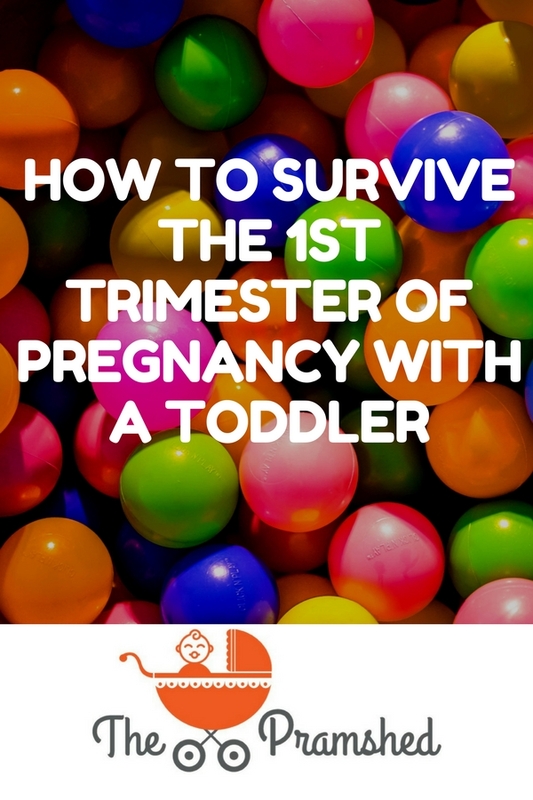 I hope that these tips have given you some advice and hope that it is possible to survive the 1st trimester whilst looking after a toddler. I’ve got through it and so can you, and congratulations! I 100% agree with being kind to yourself. 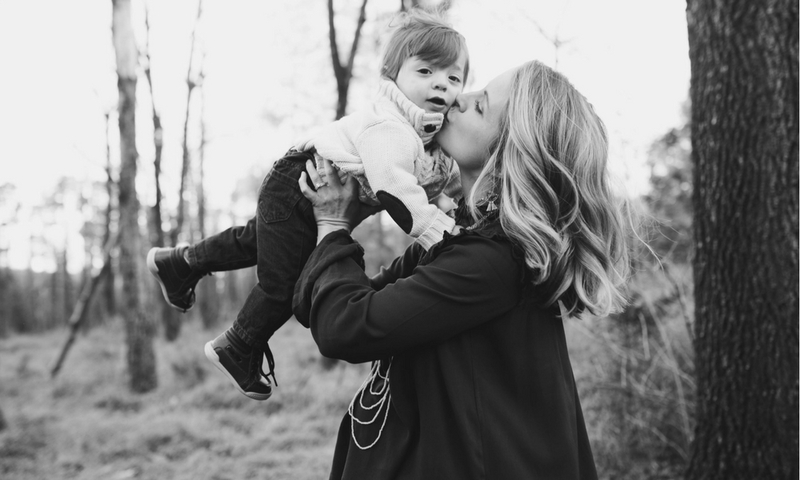 In them early days it can be tough juggling a toddler whilst feeling terrible – i certainly did! But i really did try and do activities which meant i could sit down and snuggling up on the sofa to watch films! Its an exhausting stage of pregnancy! Noleen Miller recently posted…Oh shucks, have we transformed into squirrels? 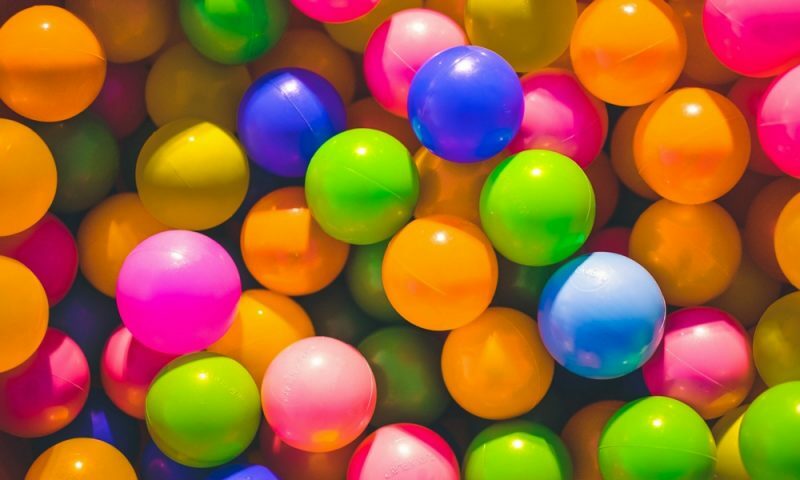 Jenny Curtis recently posted…What are the best travel games for kids? Thank you for sharing! My little girl just turned one and we’re talking about number two in the next two years. This is great advice for my future! I have been this soldier! I found the hardest part was trying to avoid lifting my toddler if age wanted a lift up. You will be fine though. My first week after having the baby was uplifting as I no longer felt sick and tired!! I’ve loved the napping whilst Ben naps works but unfortunately his naps are getting shorter and therefore my blog is suffering as I cannot do it during the day thanks to him loving to close my laptop if its open also!! I’ve had the last two weeks of and been desperate for someone to take Ben so I can rest but its only been a few days here and there.. better than nothing though! Some great advice. Having witnessed the impact on my partner over two pregnancies, you couldn’t have said it better. Thanks! It’s so hard and even harder with a toddler to look after as well.